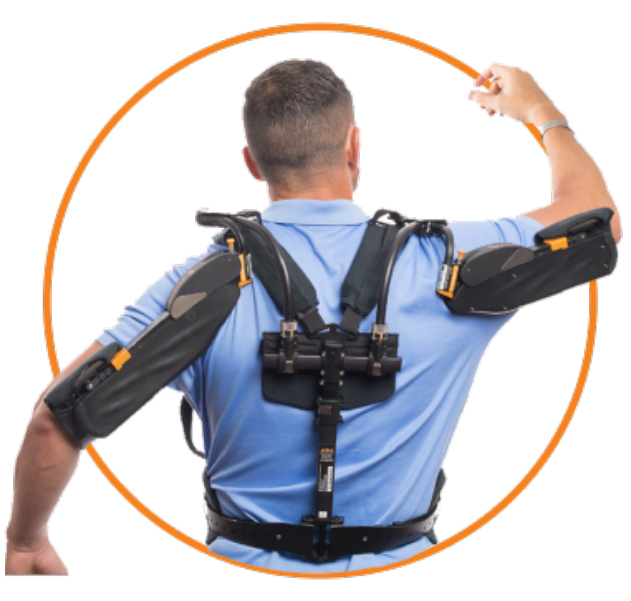 The product was introduced by engineer Mark Doyle in 2013, and he worked with Pathway, a design company, to enhance the exoskeleton’s manufacturability. It is produced by D&K Engineering. Initially, Doyle designed the device for surgeons who suffered from fatigue and pain after long surgeries. When Doyle designed the Airframe, there were no systems available that allowed a surgeon to move freely while operating. Only stationary delivery systems were in use at the time. 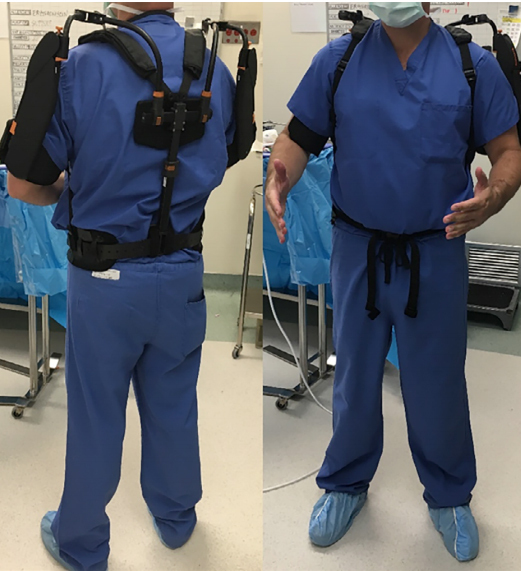 Surgeons who used the wearable frame found it had a positive effect, and a study from an Internal Review Board at the hospital where surgeons wore the exoskeleton confirmed its value. The study found fatigue in surgeons who wore the exoskeleton decreased by 50 percent in operations after 12 minutes, and the pain rate decreased by about 25 percent. Besides increased productivity and efficiency, the Airframe might also help workers stay healthy. 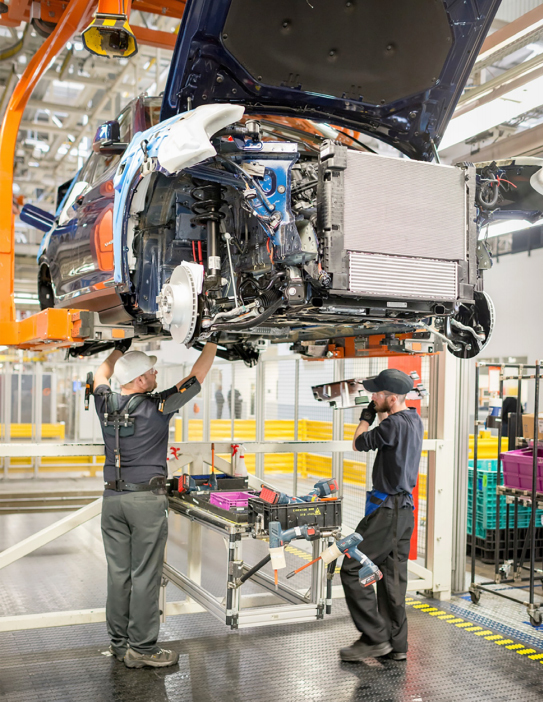 A safety and ergonomic risk assessment at one auto manufacturer found that the Airframe reduced physical work stress by 20 percent. Levitate also reported the findings of a study it conducted, which measured the impact of wearing the Airframe during a series of physical activities that mimicked common industrial tasks. During the study, objective measures of shoulder and neck muscle exertion and force were collected via electromyography (EMG) sensors placed on the muscles. Measures of dexterity were collected during tests, and subjective comfort and effectiveness data was collected. The iglide® G300 has a PV value of 12,000, a tensile strength of 30,460 at 68 degrees and a density of 1.46 g/cm³. Typical applications include those that must withstand medium to high loads, medium sliding speeds and medium temperatures. 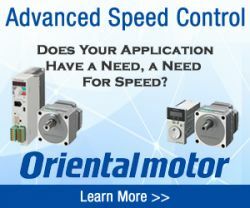 “It’s a generalpurpose bearing and has a good mix of wear, low friction and reasonable cost,’’ Doyle said. “It’s a good all-around performer.” Doyle also needed to adjust some bushings as he developed the exoskeleton. “I have experience with the igus® bushings, so I was not surprised they performed well,’’ he said. “I was surprised our device was able to generate heat. The conditions the bushings were subjected to were different than what we expected, and we found out what was causing failure. But it only appeared in live testing. 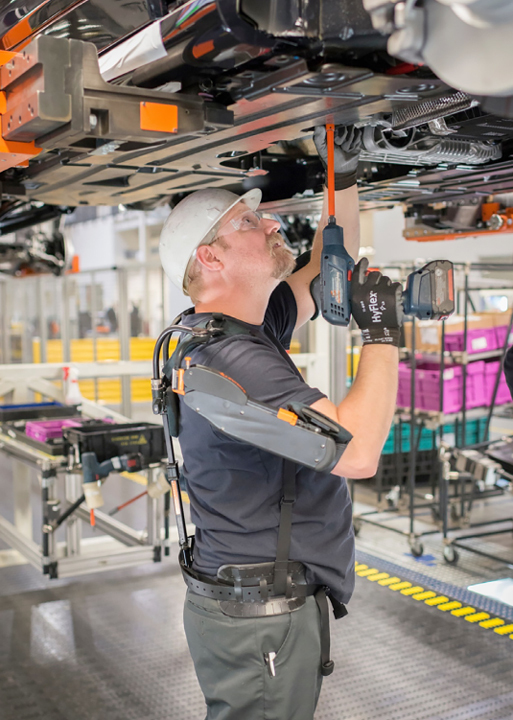 We have not seen failure in the field.” To stand up to higher temperatures, Doyle chose the iglide® T500 and Z bushings for parts of the exoskeleton. The T500 bushing is temperature resistant up to 482 degrees Fahrenheit and has a tensile strength of 24,660 at 68 degrees Fahrenheit. The bushing has very low moisture absorption and universal resistance to chemicals. The Z bushing is used in applications that require high dynamic loads and wear resistance. The bearings are suitable to temperatures up to 482 degrees Fahrenheit and have a compressive strength of 9,425 psi. The Z series also offers a 348,1000 modulus of elasticity. Doyle also selected the iglide® M250 bushing for the exoskeleton which has several important qualities, especially relating to manufacturing. The bushing resists dirt and dampens vibration, which reduces noise and results in an extended life for the Airframe. The M250 bushing is the lightest of all igus components in the unit, weighing just 1.14/g/cm³. 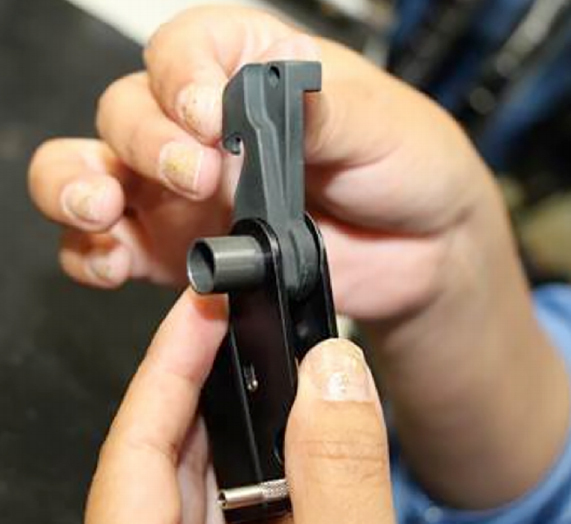 All igus® products go through extensive testing to ensure durability. They are manufactured during a threestep engineering process and are made with any combination of up to 30 materials that are blended together, based on the application. Products then go through exhaustive testing.